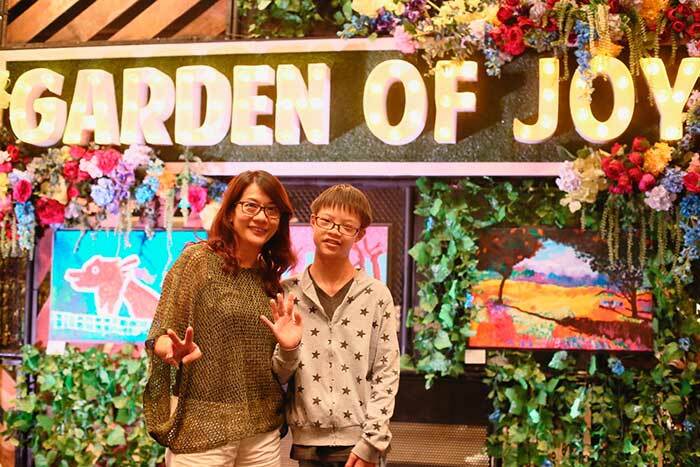 “Garden of Joy: An Ode to Elohim” was an art exhibition of 77 works by 22 artists with special needs that celebrated the God-given, creative talents of these individuals. In the words of Manolo Valdes, renowned Spanish painter and sculptor, art is in essence, “anything that makes you happy”. Young artist Leong Sijun, 13, embraces this ethos. His beautifully brilliant paintings of various plants and animals ranging from elegant calla lilies to majestic lions reflect his fascination and love for nature. Yet Leong was not a normal child by society’s standards. He was born with Down Syndrome. Leong enjoys using vibrant colors to express himself through his paintings and it gives him great joy whenever he paints. He also uses his art pieces to express his ideas and imagination, overcoming his challenges in the area of communication. Leong is one of the contributors at the recent art exhibition, “Garden of Joy: An Ode to Elohim”. 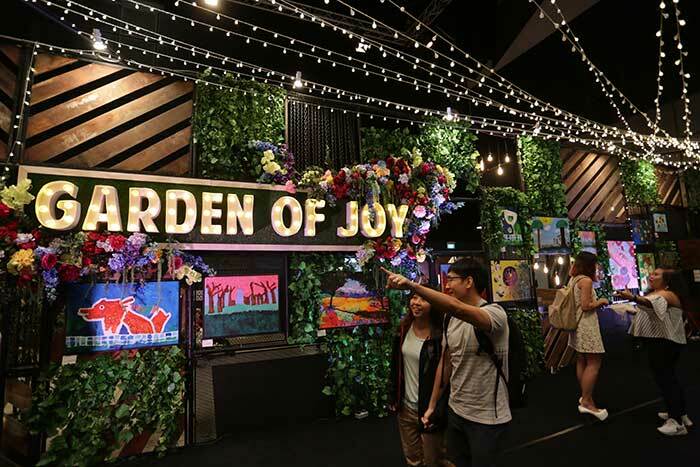 A collaboration between City Harvest Church’s Jesus for All Minds (JAMs) ministry, Seedztudio Art Learning, and Class Living, “Garden of Joy: An Ode to Elohim” brought a breath of fresh air to Suntec Singapore Hall 605. 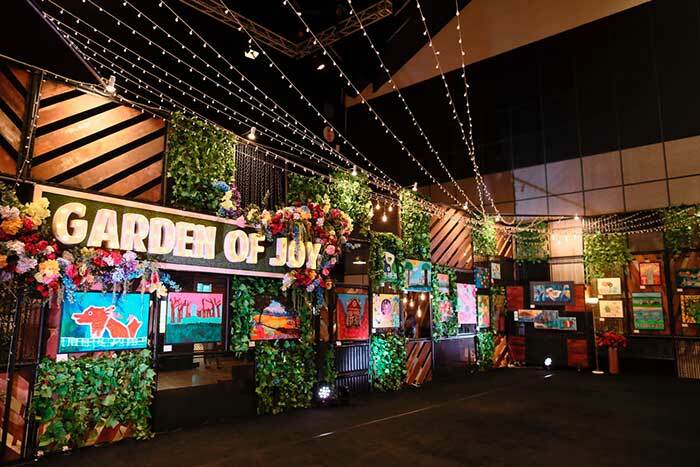 Held from Oct 21 to 29 at the Hotspot area, the exhibition transformed the space to a beautiful verdant garden, replete with vibrant paintings of flora and fauna, framed by lush greenery and vivid blossoms—thanks to art director Amy Tan. It was held in conjunction with the Purple Parade, an annual movement that champions the recognition and acceptance of individuals with special needs and their talents. Through increased openness and interaction with those with special needs, the Purple Parade pushes for a more accepting and inclusive society, one that appreciates and involves those who are differently abled. Likewise, “Garden of Joy: An Ode to Elohim” was more than an art exhibition. It was a peek into the inner world of those with special needs, bringing to the public eye the colorful worlds of these special artists. Most importantly, the art exhibition was a tribute to Elohim God, an acknowledgment and celebration of the creative energy He breathes into each individual He created. The organizers wanted the art pieces to serve as a bridge between the public and those with special needs. The exhibition aimed to raise awareness of the artists’ talents and abilities, at the same time, improve and correct the public’s misguided perceptions towards them. 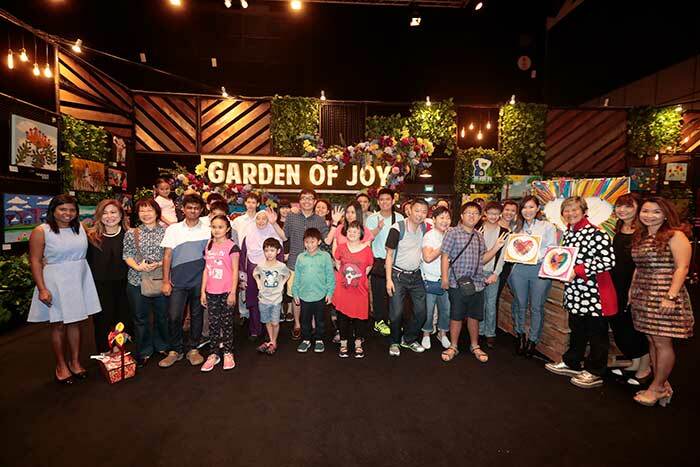 On the last day of the exhibition, the “Garden of Joy” teemed with life; many came to meet the artists and congratulate them on their beautiful works. Social entrepreneur Elim Chew and City Harvest Church’s co-founder Sun Ho graced the event as guests-of-honor. Ho shared her heartfelt gratitude and appreciation to the artists. 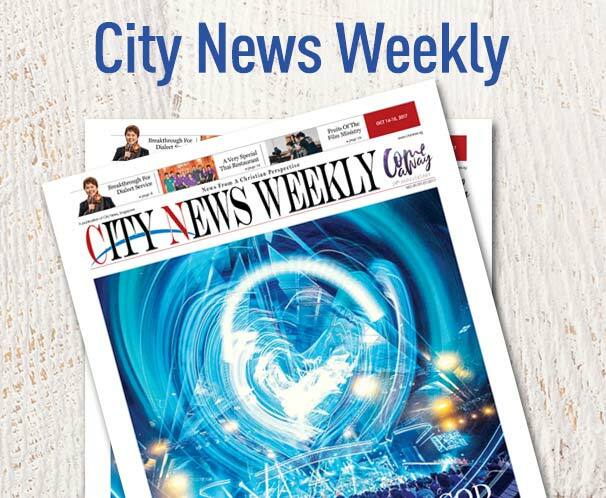 Chew, a long-time champion of the special needs community, encouraged the audience to continue in their efforts towards a more inclusive and welcoming society. She shared about the importance of nurturing these budding talents as a community and a church.